All CLSF Recreational and Force competitive team games are played at Lippold Park on Route 176 (between Rt.14 and US 47) in Crystal Lake, Illinois. 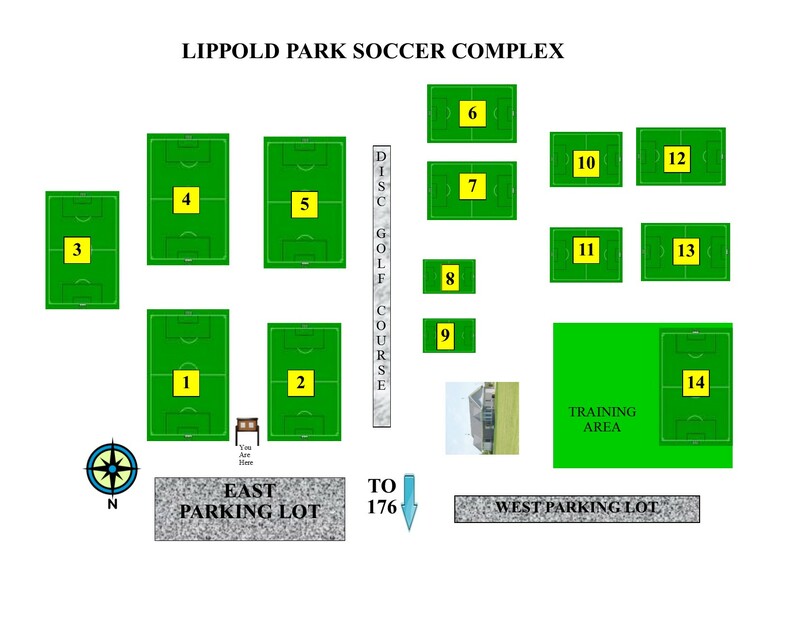 The Soccer Complex at Lippold Park has 14 soccer fields and a large practice area as well as the CLSF Soccerhouse containing our concession stand and rest rooms. Please use the field map below to determine the field on which your game will be played.